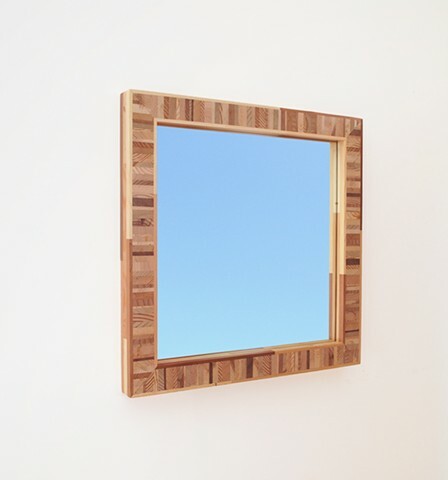 Handmade modern mirror with a multi-colored softwood frame. Assembled with salvaged and scrap wood using end grain blocks surrounded by wood strip sides. The wood is a variety of pine, fir, redwood and some unknown pieces.